On Thursday January 16th, PAWS of CNY met with a troop of Girl Scouts in Nedrow to teach them about Pet Assisted Wellness Services. On Thursday January 13th three volunteer teams from PAWS of CNY attended a Pet Therapy event at the Villas at Summerfield in Syracuse. On Thursday January 9th, Jessica Marabella from PAWS of CNY gave a presentation to students at Roberts Pre-K-8 School in Syracuse. Part of the Say Yes to Education Program, a non-profit foundation committed to increasing high school and college graduation rates for urban students, Roberts offers the students who attend their after school program a variety of educational guest speakers throughout the year. 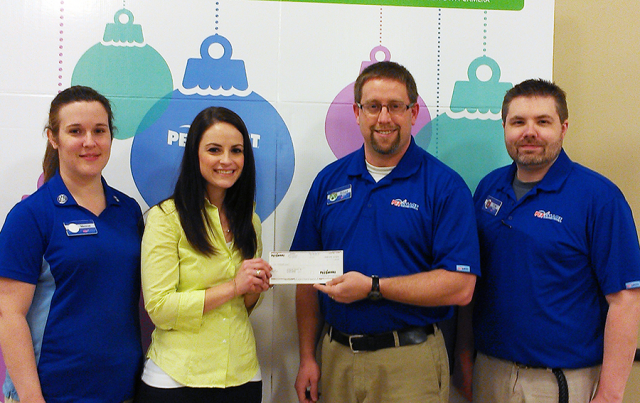 Jessica Marabella accepts a $2,000 donation on behalf of PAWS of CNY from PetSmart Store Manager Richard Merrill, Operations Manager Tom Lebeau and PAWS volunteer and PetSmart trainer, Melanie Hoover. 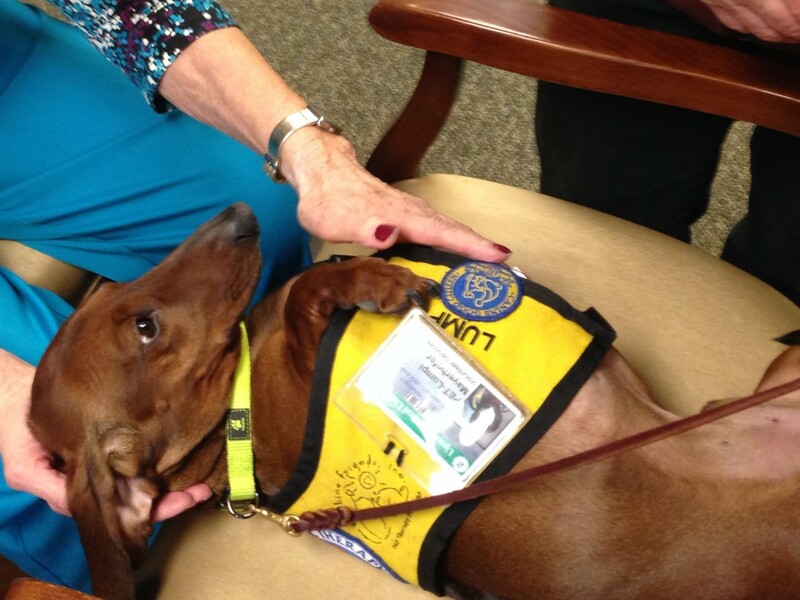 PAWS of CNY was honored on Tuesday December 17th, 2013 with a $2,000 Donation from PetSmart Charities.